Work together as a party of 4 and tear through the Dungeons in this free-to-play action RPG! Happy Dungeons is an action RPG packed with mind-blowing combat and cooperative multiplayer fun. Play online or fire up 2 or more controllers and enjoy 4 player split-screen with your friends and family! Features include a clever, lighthearted story teeming with charming characters, atmospheric Dungeons and a world like nothing you’ve ever seen! With so much to look forward to, we promise it’ll leave you feeling Happy! That’s not all. With over 1500 equipment items in the game, you have complete control over how your character looks, feels and plays! So, grab your pals and hit the Dungeons! Happy Dungeons is a Happy Action RPG for up to 4 players. Stay Happy with waves of enemies that cover the screen, bomb-tastic explosions and big-time brawls! The more the merrier! Play with friends and turn your party into a force of destruction! 2. Heart-warming cuteness meets heart-stopping action! Test your mettle against hordes of enemies, giant bosses and nutty side-characters! Wield powerful skills and insane items to deal damage like you’ve never seen before. Form a party and build your Rage to power-up! With high Rage, you’ll be strong and fast enough to send any villain flying no matter how great or small! In Happy Dungeons, you can customize your characters in a number of different ways. Weapons and Armor aren’t the only things you can change about your character, you can also customize your skills and appearance. Build your character to suit your playstyle, and pick parts that make them as cool, cute or silly as you want! Set out for adventure with a hero that only you can make! 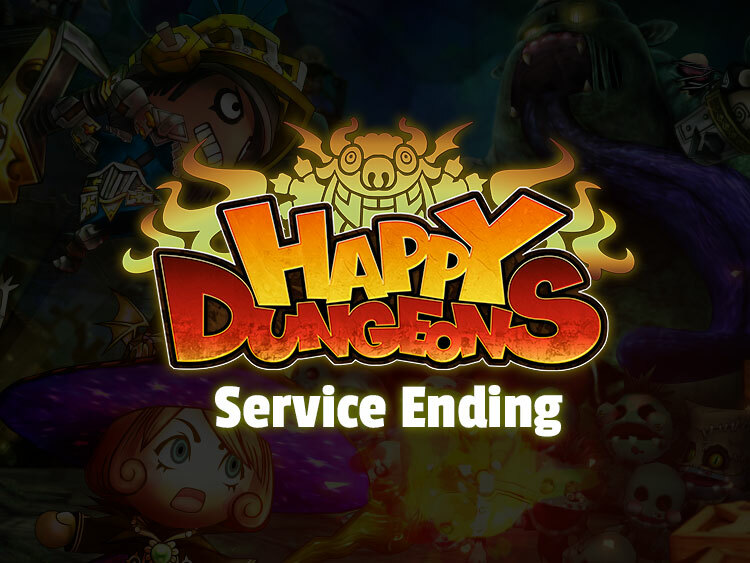 Happy Dungeons is an action RPG that can be played forever, thanks in part to updates filled with new content. The game is constantly evolving, adding new items, features, story, and of course, Dungeons! You can also look forward to new Event Quests and Special Campaigns to keep the game fresh and Happy! an heroic tale of humans and monsters in a land that floats through the sky. Monstrous bullies (literally! ), a kidnapped princess, and a king in trouble all await you! and save princesses! Sally forth! 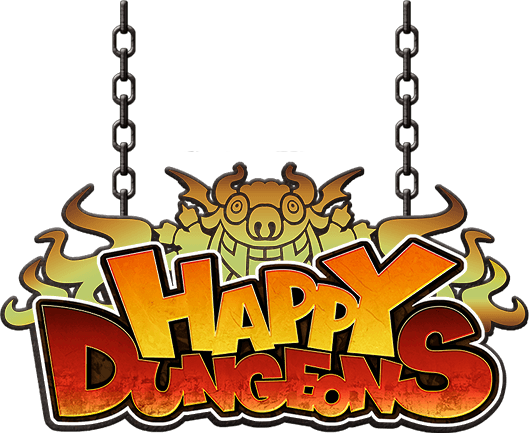 Characters in Happy Dungeons come in different classes, and your class determines the types of attacks you can perform. Choose a class that suits your fighting style, then let rip! Happy Dungeons is teeming with terrible villains who delight in menacing innocent citizens. These baddies come in all shapes and sizes, from comical rogues to beastly monsters, each with a unique attack style. You'll need to read their movements if you want to stay alive!